The Organizing Committee has stopped accepting new applications for the 6th Booktrailer Festival in Azerbaijan. Hurry up to join Booktrailer Festival! Only five days are left till the deadline for the submission of works for the 6th Booktrailer Festival. 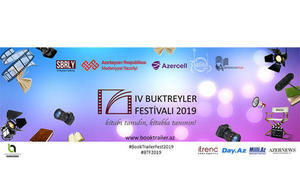 The logo of the 4th Booktrailer Festival has been revealed. Azercell, known as the company that supports innovative ideas and projects in our country is the main partner of the IV Booktrailer Festival. The fourth Booktrailer Festival has already started in Baku. The gala night of III Booktrailer Festival supported by Azercell Telecom as a partner, was held on May 2, 2018. 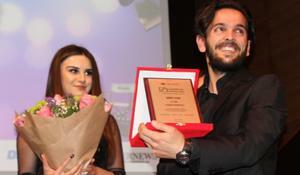 The event announced the winners of the festival, which was followed by the award ceremony. The solemn ceremony of awarding the winners of the 3rd Booktrailer Festival took place at the International Mugham Center, Trend Life reported. 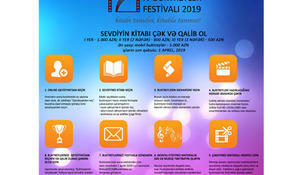 The International Mugham Center will host a gala evening and a ceremony of awarding the winners of the third Booktrailer Festival on May 2 at 7 pm, the author and project manager, film actor and producer Ruslan Sabirli told Trend Life. 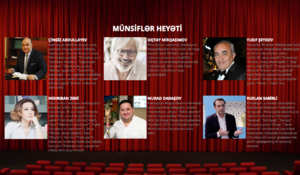 The jury members for the third Booktrailer Festival in Azerbaijan have been named. The Organizing Committee has stopped accepting new applications Booktrailer Festival. 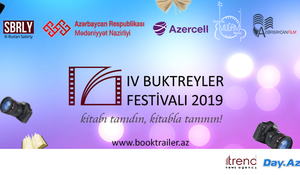 Azercell Telecom, which has conducted a number of successful projects aimed to develop the culture of reading, as well as raise public interest towards reading in our country, has provided its support to the third Booktrailer Festival. The accepting of application forms for the third Booktrailer Festival is underway. Famous people of Azerbaijan - People's Artists Rafig Aliyev and Hamid Omarov, Honored Art Workers Ayaz Salayev and Orkhan Fikretoglu, Honored Artists Sanuber Iskenderli, Bahram Bagirzade, Murad Dadashov and Nargiz Jalilova, TV and radio presenter Rahib Azeri, traveler Azer Garib are calling young people to join the third Booktrailer Festival. 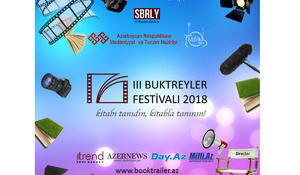 A promo video for the third Booktrailer Festival has been presented in Baku. The third Booktrailer Festival has already started in Baku. 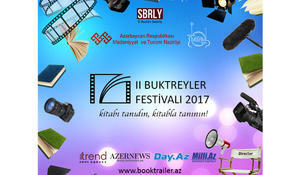 Baku will host the third Booktrailer Festival, supported by Azerbaijan's Ministry of Culture and Tourism. 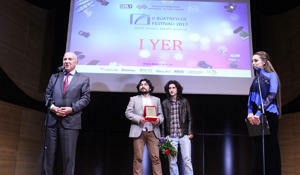 The International Mugham Center has hosted the awarding ceremony of the second Booktrailer Festival in Azerbaijan. The Organizing Committee of the Second Booktrailer Festival has concluded the voting for the best work.